Mayrhofen is a very lively resort, with great apres-ski and nightlife as well as a superb ski area. We feature a small selection of chalets and chalet hotels here which offer superb value for money. 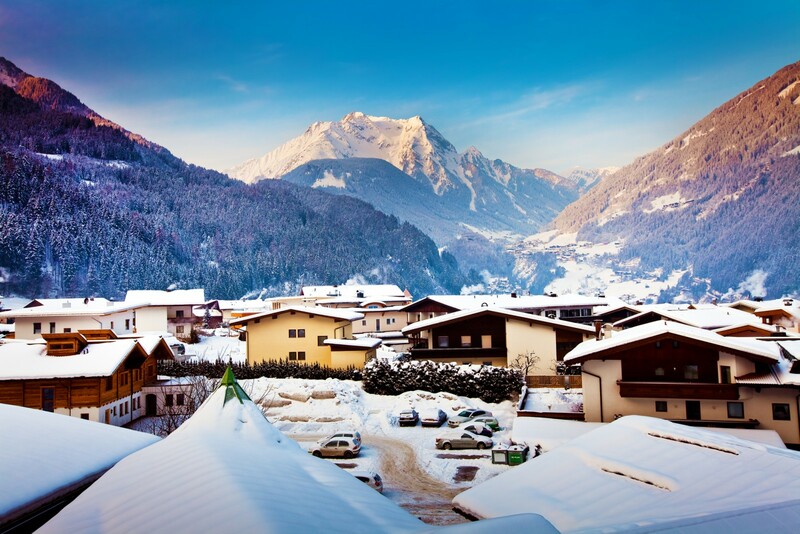 Mayrhofen is a large and popular resort in the Austrian Tyrol. The ski area is more than large enough for a week’s holiday and also suits all abilities. The resort is charming, friendly and a great choice for skiers looking for a cheaper alternative to the French mega resorts. The après-ski and nightlife is very lively too. All in all, Mayrhofen has a lot going for it! The first thing to understand about the ski area is the access from the town centre, 90% of the skiers will make their way to the slopes via the Penken gondola which does get very busy in the mornings. That said, once you are on the hill, queues are minimal. There is a second lift called the Ahorn which accesses a small ski area which isn’t linked to the main one. The ski area itself is known as the Zillertal and offers 165km of pistes including the Hintertux area. Mayrhofen has some good areas for beginners, the best areas being on the Ahorn side of the resort, accessed by the Ahorn gondola. Due to its separate nature, it is not linked to the main area, it can mean meeting up with friends a bit of a pain. There is a good area at the top of the Penken gondola which is more appropriate for groups with mixed abilities looking to socialise during the day on the hill. The Zillertal area is a paradise for intermediates thanks to a huge range of blue and red pistes. We love the skiing at the top of the Hintertux glacier and its a great place to head for a proper day out. Plan in advance though as its height does leave it susceptible to bad weather. Mayrhofen does not have an awful lot of truly challenging pistes, the only exception being the steepest piste in Austria, the Hari-kiri. The other feature that draws experts in their droves is the world class snow park. For those looking for a lively and varied après-ski and nightlife scene, Mayrhofen is a great choice. 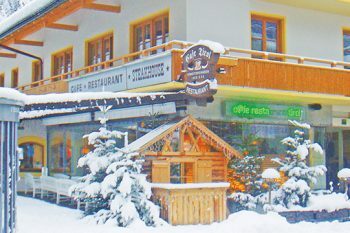 The most famous bar is the Eis Bar which is located next to the Penken gondola in the village centre. It gets VERY lively as the skiing day comes to a close. Both the Penken and Ahorn gondolas have an après-ski bar at the top station, the Penken has the famous Pilzbar and the Ahorn has the White Lounge. The Pilzbar is very lively, think cheesy Austrian pop music and dancing on the tables. The White Lounge is more of a relaxing vibe, a great spot in which to chill out after a day on the slopes. Whilst the above are the highlights, there are so many other bars and clubs to enjoy. If this is your thing, you have to give Mayrhofen a shot.